No matter how large or small your company is we can help your company stand out from the crowd with your unique corporate or promotional gift. 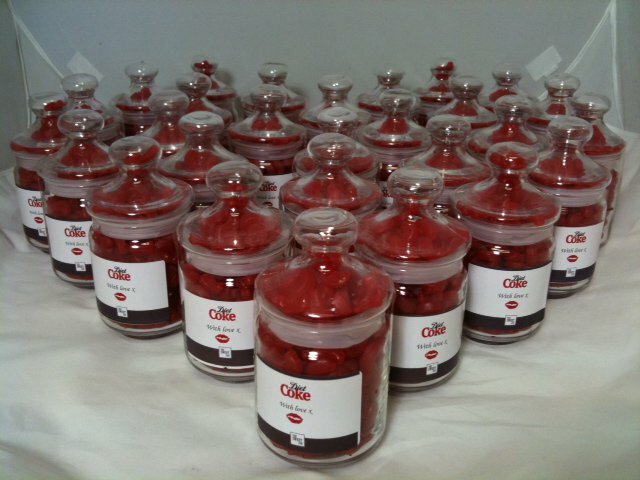 Simply choose the size of traditional glass jar, fill it with your choice of sweets, decide on a message and send us your Logo and let us do the rest. We strive to be flexible and responsive to client requests - if there is any particular requirement you have, just contact us and we will explore the best ways to meet your needs. Simply send us an email via the Contact link on this site with your phone number and we will ring you back to discuss and tailor your requirements at a time to suit you.